A private pool in the garden the epitome of luxury and comfort in a house. The good news is that today this dream is easier to realize than you would imagine, thanks to the cost-effective offers and innovative ideas. And those who are reasonably talented in terms of craftsmanship can save even more money around swimming pool construction by lending a hand. 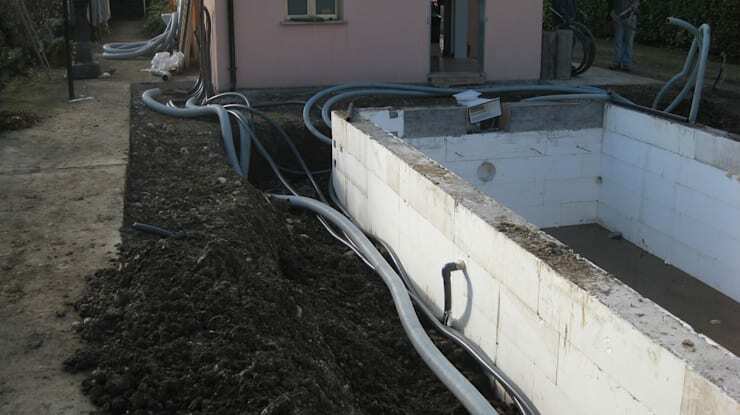 Today we show you a step by step process, how a family fulfilled the dream of its own swimming pool. See what all you need to know to have a pool in your yard. Piscina interrata metri 7x3x h 1,5 a casseri in polistirolo a perdere . The first step on the way to your own pool in the garden is to find the right location. 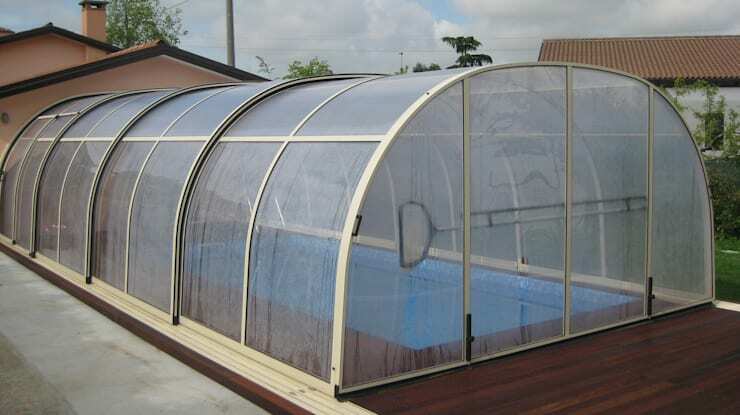 In addition to a level location without larger plants and obstacles, factors such as the sun's rays and sufficient protection against strong winds and prying eyes play an important role in deciding the location of the pool. Once the perfect location has been found, the excavation pit is marked and excavated, a substructure is created and finally the foundation plate is installed. See these 9 pool alternatives, great for your garden. 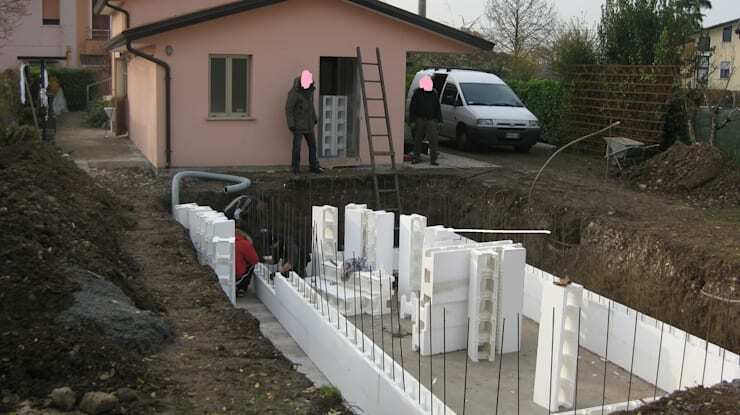 Next step is to raise the walls that will make the sides of the pool, which are firmly connected to the bottom plate. Once this is in place, the next step is the piping and drainage to be installed in the most optimized manner, keeping in view the slope and space. If the space you have for pool is small, see 17 amazing pool designs for small patios and gardens. 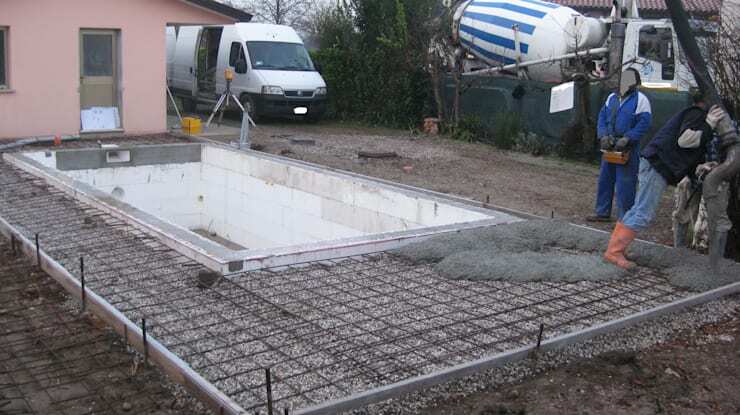 This picture shows the concreting of the pool border, because the perfect pool of course not only just includes the trappings, which must be designed conscientiously for both visual and safety reasons, it also adds to the effective maintenance in time. Here are 10 mind blowing ideas for pools in modern houses. After the pool has been tiled and filled and equipped with all accessories, the owners can look forward to the impressive result. The area around the pool was covered with high quality wood, which is both beautiful to look at as well as practical and easy to care for, giving a great feel when you are barefoot. Here are 6 relaxing mini pools for your home. 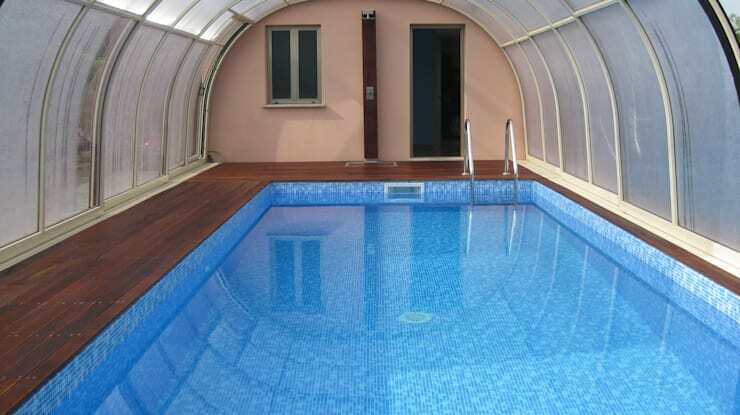 It was important to the builders that they could use the pool even when the weather was not so bright and beautiful. A roofing was therefore an important element in this case. The roofing keeps the water not only clean, but it also keeps it warmer for a much longer duration, and extends the bathing season significantly. Finally, we take a look inside the covered pool. The flexible roof creates a real wellness oasis even on colder, rainy days. The luxurious look of the pool is underlined by blue glass mosaic tiles, which give the pool area together with the warm wooden planks a calm and serene ambiance. Have you had experiences with the subject pool construction? Share your experience with us!